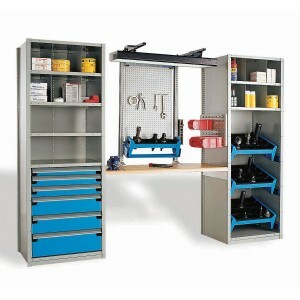 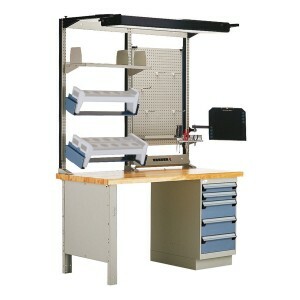 Workbenches in the office and workroom’s require a specialized configuration to meet your unique storage requirements. 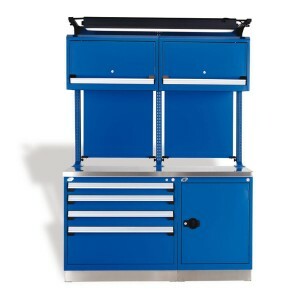 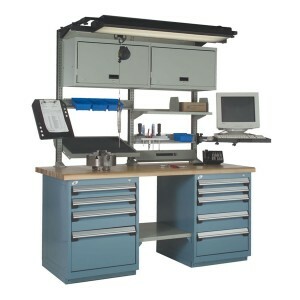 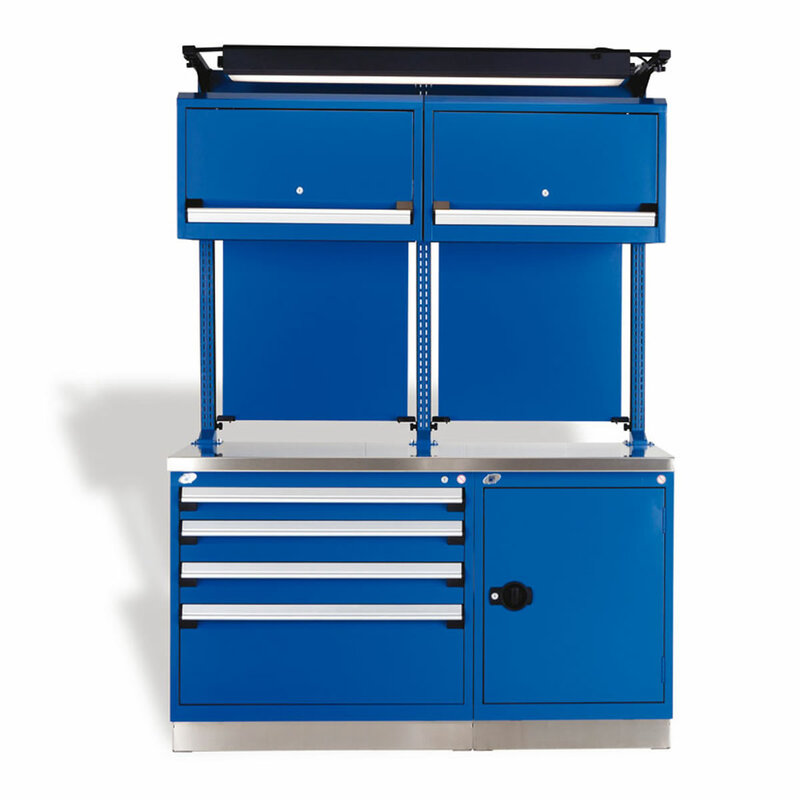 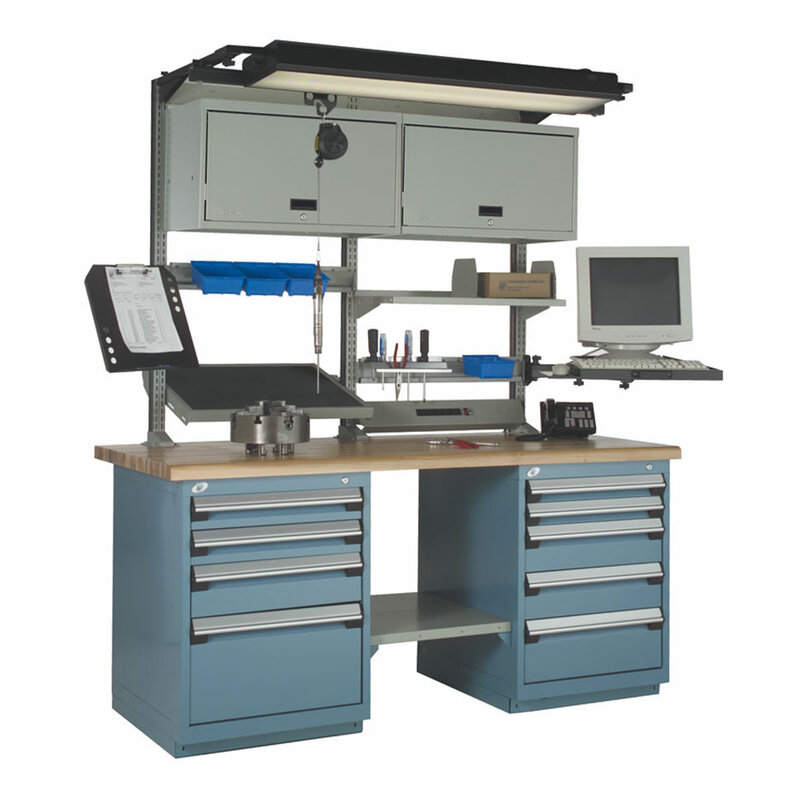 Vital Valt offers a plethora of workbenches and options for working workbenches and storage. Workbenches are available as stationary or mobile with caster bases depending on your requirement. Whether you need basic work benches or ESD kitting workstations with adjustable work surfaces, we can help you with your requirements. 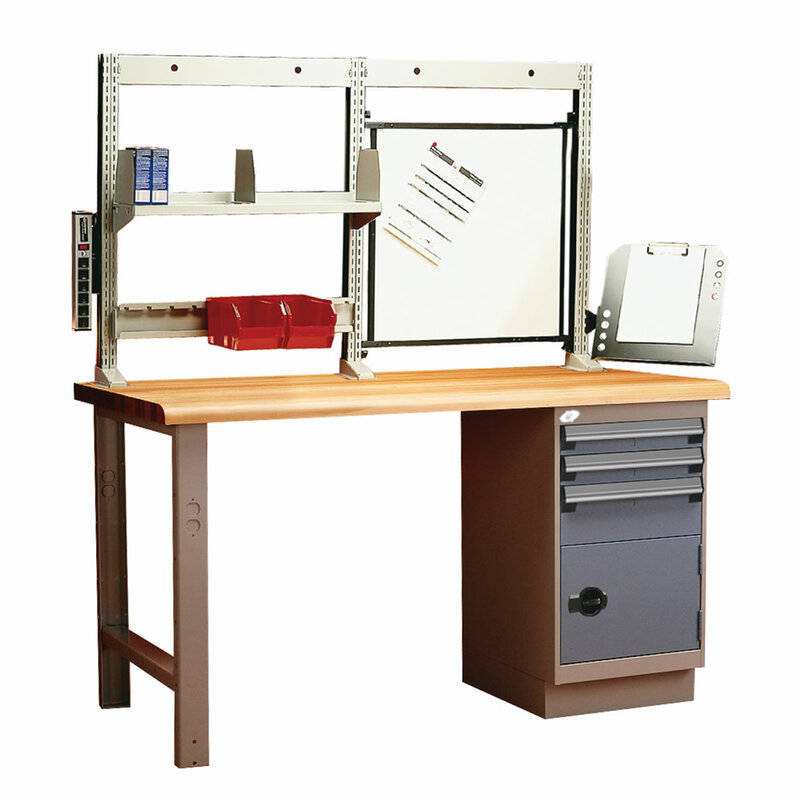 Workbenches are available with numerous accessories and several work surface dimensions for each of the surfaces offered: painted steel, stainless steel, laminated wood, wood composite, laminated and dissipative plastic. 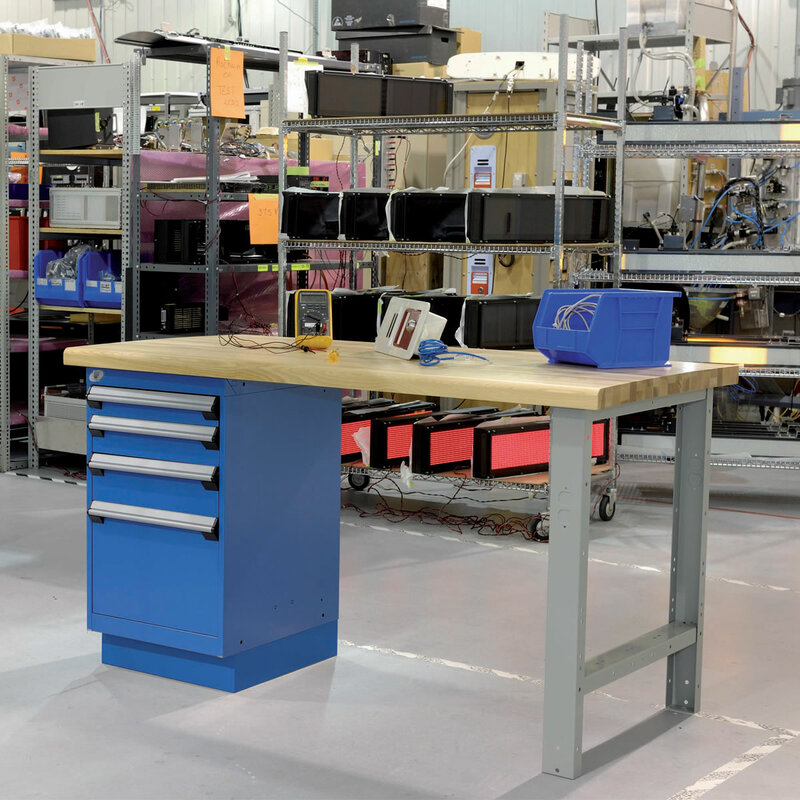 Workbench Systems can be integrated with modular drawer systems, shelving systems and other storage systems to best meet your work space conditions.